So my family and I have been trying to get together a bit more frequently. These days I don’t really hang out much socially, but we have committed to sharing more time together. It’s important to make time for the ones who matter most. I was trying to pick a place for my mom and sis, and after my failed suggestions of Japanese, and BBQ, my little sister suggested Thai food. I looked up a place that was easily accessible by train, and we chose this spot. They were having a lunch special, so we picked a few appetizers from there, and some main dishes. 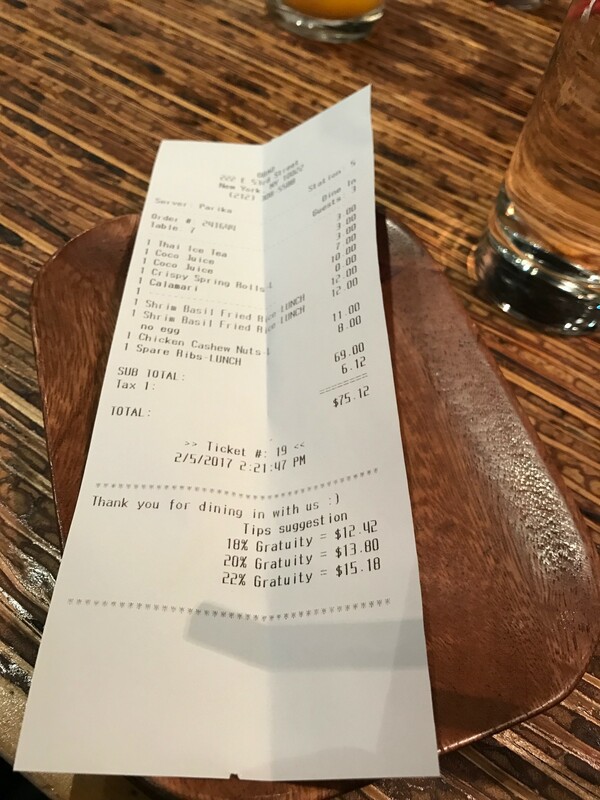 You’ll see on the menu, that some of the items say, “Michelin recommended,” so I asked the server if they had a Michelin star, and she said yes. She looked very proud as she said so. Okay, cool beans. At that point, you are now being held to a higher standard. You know how that goes, right? We were given some of those really awkwardly high seats. I asked if they had any others available, to which they replied that those were the seats they had. Later on, as I went to the men’s room, I noticed that there was an entire back side to this place. The seats there were lower, and better for my older mom who has a hard time climbing into those higher seats. We had already started eating, so I let it go, but I thought it was worth noting this. I don’t know exactly , but the entire time I was there, I felt slightly uncomfortable. It was as if we weren’t wanted there. Now, I recognize that this could be all in my head, but I simply wasn’t getting nice vibes. Anyway, I don’t feel like wasting my time writing about the food, but that’s why you guys are reading, so here goes. 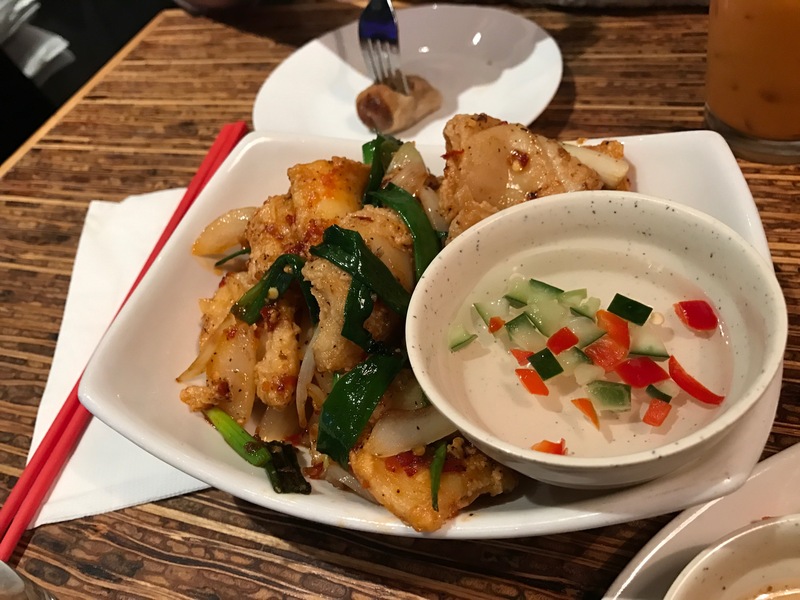 Calamari: Probably one of the better items I had there. It was spicy, but good. My mom was also a fan of this. The breading came off easily, but I think that may have been part of the idea? I’m not sure, but the sauce and calamari was very good. 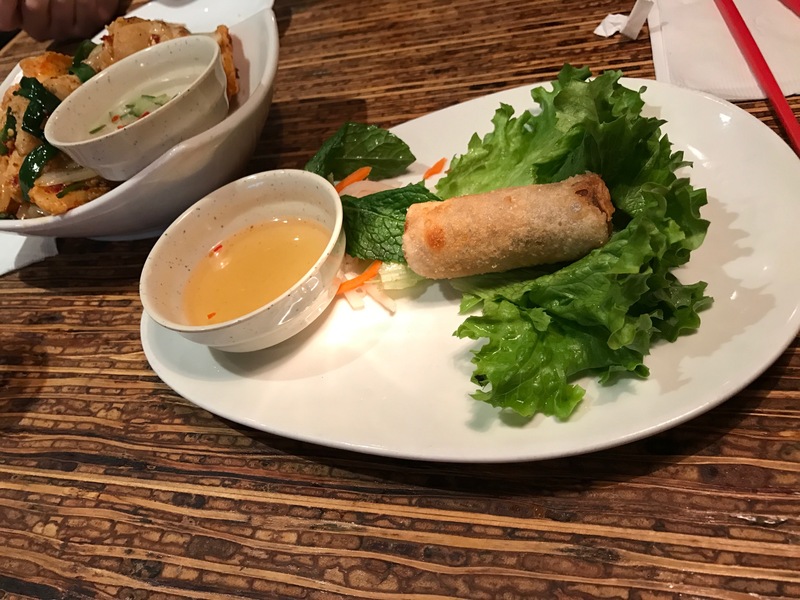 Spring Rolls: Nothing exceptional about this. Acceptable at best. It didn’t taste good, and it didn’t taste bad. Could I have gone without it? Sure, don’t really care of it. 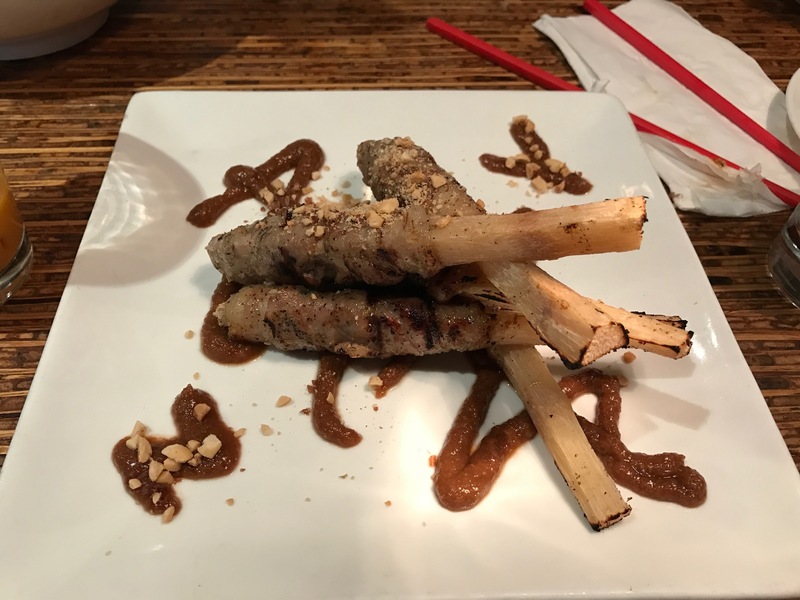 Ribs on cane skewer: this item is one of their Michelin recommended items. But neither my mom or sis were feeling it. I ate it, cause I’m the one buying. Hah, but I wasn’t impressed with this item at all. Not sure what the michelin person was thinking here? 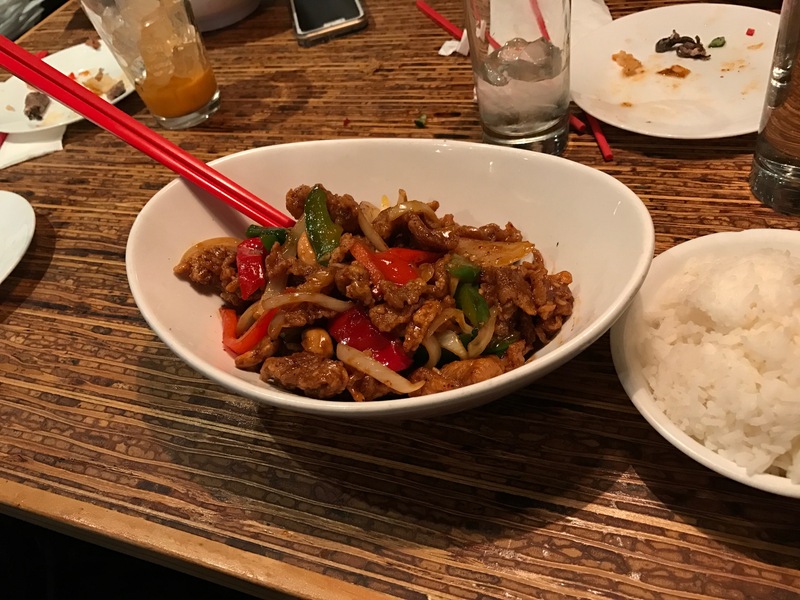 Cashew chicken: My main dish, this was also one of their better items. The chicken was nice and crispy. Peppers, cashews and onions accompanied this one, along with a side of rice. Pretty good dish. Quite filling. Coconut juice: the juice was good. It had a nice couple of coconut chunks in it, and some good flavor. Overall the food was okay. My sister seemed to like her shrimp dish, and my mom liked hers too, albeit while saying it was too spicy. The final thing I’ll say on this place is that considering that they have a Michelin star, one would expect that they’d be a bit more accommodating to older people, and go a bit further in making you feel welcome. I wasn’t feeling it there, but hey, that’s just me. Who is James Zwerg to Black America?